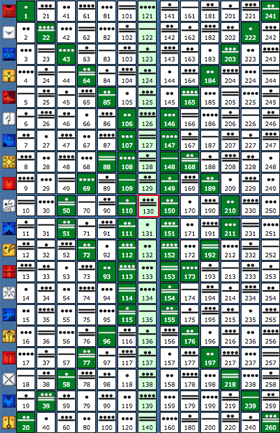 The entrance to 13-day wavespell of the Monkey at the HEART of the 260-day Tzolkin matrix, followed by the entrance into the SOLAR Moon of INTENTION , the 9th Moon of the 13-Moon year coded by 13 Moon KIN 169 (13×13) is signaling the entrance to a new threshold of KEY significance within the Galactic Maya prophetic narrative that we have been carefully reconstructing and tracking here @ tortuga1320 for the past 3 years. 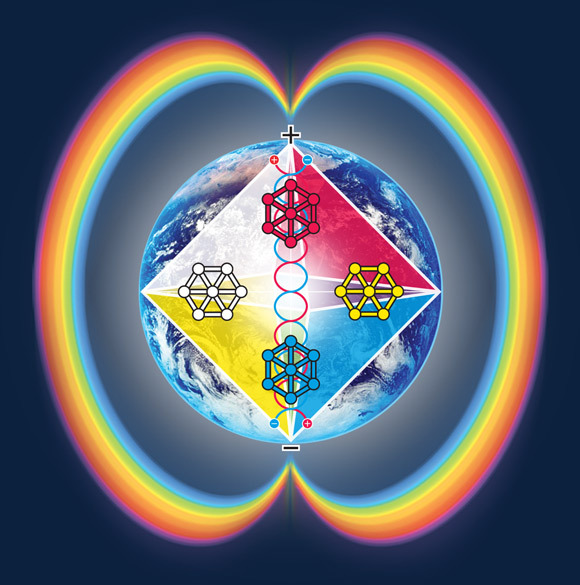 As we will explore, both the current 13-day and 28-day cycles we are now transiting are enshrined within a very elegant set of numerical frequencies of harmonic resonance, allowing us the opportunity to appreciate the beauty and harmony of the Golden Proportion operating through the fabric of Time-Space. On this report we will reveal the multiple layers of harmonic resonance contained within this 28-DAY passage and bring back to memory some of the KEY components of the prophetic stream presented here in detail 260-days ago ( Gregorian 6.18.18 • KIN 131 1Monkey) on the report “Finding PHI in Time” . This process will enable us to fully appreciate the multi-dimensional prophetic relevance and harmonic resonance embedded into this Solar Moon of Intention. “The Dance of Venus” by John Martinaeu – (An accurate scientific drawing of Venus stunning pattern around the Earth. Our closest planetary neighbor draws a huge pentagram pattern around Earth every 8 years or 13 Venusian years. Four of the eight-year Venus cycles are shown, with the motion of Venus around Earth over 32 years), “A Little Book of Coincidence”, 2002. So, on part PhiVe of these series we will DEFINE and enumerate 15 (5+5+5) Factors that will put into perspective the magnitude of this alignment . We will also complete the last phase of the (epic) fractal journey that we started on pART 4 and examine in detail the multiple overlays between the Venus Cycle and the Galactic cycle via number 5 and the Golden Proportion, bringing in this way to the surface more NEW compounding evidence of the fractal synchronizations taking place at this time on Earth and documented throughout these series. NOTE: To fully grasp the prophetic relevance of this window it is highly recommended to read first the 4 prior pARTs of the Noospheric Emergence series, or at least pART 4, to bring back to memory some important elements of continuity. Este 29 de enero del 2018, NS1.30.7.20, KIN 251, 4 Mono, Onda Encantada de la Estrella, marca la finalización de 22 + 1 Tzolkins desde “el Evento Inevitable” del 9-11-2001, la caída de las Torres Gemelas. Este importante marcador en el tiempo se sincroniza hoy con el sello 10 Chicchan en la cuenta Maya Tradicional equivalente al Kin 205, Serpiente Planetaria Roja. KIN 205 es precisamente el Kin Maya tradicional (Tiempo Real) de Valum Votan (VV) nacido el 24 de enero de 1939 (10 Chikchan, 18 K’ank’in). Desde la perspectiva del “Tiempo Real” (cuenta Maya Tradicional) Valum completa hoy exactamente 111 giros galacticos. Junto a Bolon Ik, Valum decodificó este evento en este blog que hemos reconstruido desde el histórico website de Tortuga: La Caída de Babilonia y el Caballo Blanco (en inglés) originalmente publicado el 2001-9-13, día 22 de la luna 2, KIN 253 Caminante del Cielo 6, tan solo 2 días de ocurrido el “Evento Inevitable”. De hecho, Valum utilizó gran parte de esta decodificación en su último libro bestseller: “El Tiempo y la Tecnósfera” (2002). Escencialmente, el evento 9-11 fue visto como el comienzo de la caída de Babilonia. “La Caída de Babilonia y el Caballo Blanco“. Por Valum Votan y Bolon Ik. Decodificación en idioma inglés. No obstante, el cambio dimensional ha traído nuevas revelaciones y es factible sustentar que el 9-11 también significó un ataque de Babilonia a los Arquetipos Gemelos proféticos. Esto se explica porque la UNIDAD PSI-CHRONO (célula de memoria activa de la Noosfera) correspondiente a la fecha Gregoriana de Septiembre 11, está codificada SIEMPRE (todos los años) con KIN 33 (22+11) y 9×11=33×3. Además Kin 251(Mono 4) codifica 4.11 = 4×11 = 44 = 22+22 = 11+11+11+11 = Gemelos VV (11.11) y BI (11+11). Recordemos también que VV tenía 44 años cuando se casó con Bolon Ik y que cada torre tenía 110 pisos (2x11x10=220). 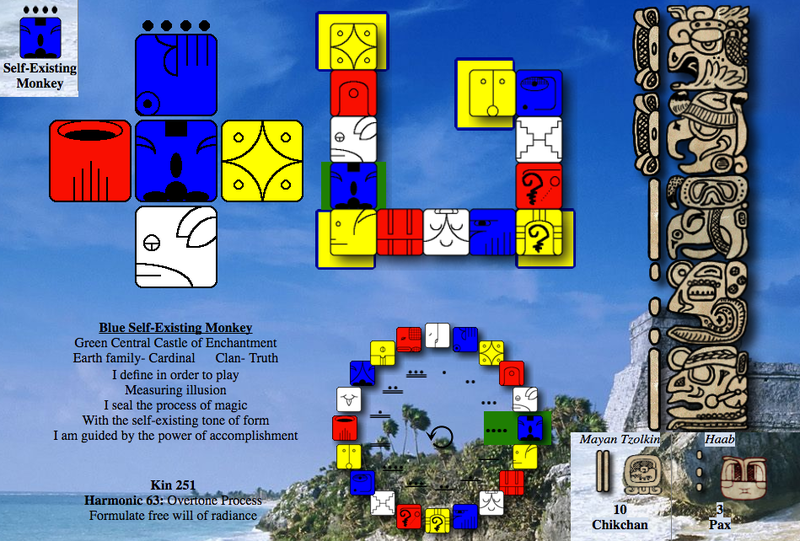 A su vez, el Kin Unificado (Tzolkin Maya + Encantamiento) del descubrimiento de la tumba de la Reina del Templo XIII es también Kin 44 (16/5/1994 fue 9 Kimi Kin 126 + 9 Espejo Kin 178 = Kin 44). Finalmente, la suma entre VV+BI = Kin 33 + Kin 251 (evento 9-11) = Kin 24 que codifica 12.12. Precisamente, los códigos de ascensión gemelos de VV y BI (Kin Alpha + Kin Omega) ambos resultan en 12.12 (Sol Cristal), confirmando así a los Maestros Ascendidos Gemelos del Nuevo Tiempo. Judging by the intensity of the news and the chaotic series of events happening all around the Earth, we can say that we are now experiencing a very turbulent passage that can only be described as a collective “rite of initiation”. A NOTORIOUS SHIFT is taking place right before our eyes, as we peel our collective skin and old systems keep falling apart. How can we make sense of all this chaos, without falling into states of fear, anxiety and hopelessness? Maybe looking at things from a higher perspective can facilitate an emotional shift and from there a shift in consciousness. As we reach the 16th anniversary of 9/11/2001 and the most life-defining event of the third millenium, we are also reaching a new Ground-Zero point in the artificial timeline, This OMEGA Point in time is also signaling the end of a collective rite of passage between the old time paradigm and the New Time Paradigm. The trigger-events from 9/11/2001 represented such a similar threshold for humanity. On his groundbreaking book “Time and the Technosphere”, this time-splitting event was clearly identified by Jose Arguelles as “The Inevitable Event”. An event of such magnitude that defined “the limit of artificial time”, represented by the fall of the twin towers. The harmonic beauty and elegance of the 13:20 Natural Time Frequency resides in its Radial Nature. This quality is also the most important differencing aspect from the 12:60 Artificial-Gregorian-Mechanistic time frequency. Radial Time allows us to escape the prison of “flat land”( linear time ) and navigate reality in ALL directions as a multi-dimensional hologram (radial time). This framework allows us to elevate and balance our perceptions and interpretations of the events transpiring around us. The storm’s “single eye” spiral structure is a great re-minder for all of us that Time and Consciousness move in all directions at once and that we are “wired” to operate in the same way and perceive reality from a radial perspective. Only from there we are able to stay still, centered and connect with the core of our essence… Acting always from this place in the midst of pressure and anxiety will hopefully enable us to arrive to a graceful resolution for this collective rite of passage. As mentioned at the beginning of this report, the acceleration and amplification of planetary energies was signaled by the the Great American Total Eclipse from August 21, 2017 (NS1.30.1.27 • KIN90), and its multi-dimensional significance was presented in detail on our report published that day..
Current events are a function of an evolutionary process that Jose Arguelles defined the “Biosphere-Noosphere Transition” and constitute a clear symptom signaling the conclusion of an evolutionary stage and the start of a new one. A silent planetary transformation is taking place right in front of our eyes in redemptive resonance with many KEY HISTORIC events of our past. There is a larger INTELLIGENCE at work on this planet: The Mind of the Earth… The Noosphere. 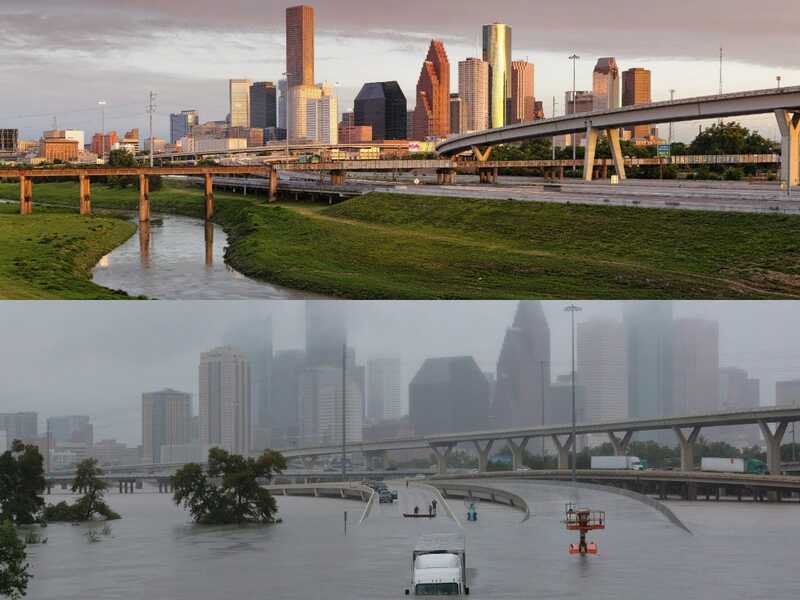 Man-made or not, the coalescence of these storms in time are inviting all of us to reflect deeper on what is happening and realize that the Earth and the Sun are speaking loud and clear to all humans. They are reminding us that we are supposed to be the most intelligent species on this planet and work with Nature, and that it is no sign of intelligence working against Her. It only requires a well directed “sneeze” from the sun to render almost inoperable our “advanced” technological infrastructure, and send us, in a blink of an eye, back 100 years in the past. The serpent is the 5th solar seal out of 20 and the current wavespell is also the 5th 13-day cycle from the Tzolkin. The serpent represents primal Life-force, Survival and Instinct… attributes to make conscious by recognizing their influence on our lives and moods as events keep unfolding. The Serpent also represents the archetype of the “The Serpent Initiate” who has 13 days to “peel the skin” and transcend this world by awakening Earth’s Kundalini. The 5th orbit also represents the musical principle of the Pentagram, the”Perfect Fifth” or the “5th chord” and the 5th Force within the cosmology of time. According to the Dreamspell Cosmology, the Serpent symbolizes the most primal aspect of destroyed planet Maldek, now the asteroid belt occupying the 5th orbit of the solar system. This 13-day passage serves therefore as a holographic container and archetypal repository of the memories of the “Lost Worlds”. The serpent tongue is split in 2, re-inforcing the concept of a “fork on the road” and the identification of 2 very distinctive Timelines: the artificial and the organic. In an amazing display of the precision and elegance of the Maya Time Science and its redemptive power, the 216th (6x6x6) anniversary of the discovery of the asteroid belt, is synchronizing with the 16th Anniversary of the fall of the twin towers on 9/11/2001. Because both CYCLES hold a perfect hologram of the CUBE, the most primal form of third-dimensional creation. 1997-2013 : 16-YEAR TELEKTONON CUBE OF THE LAW. Learn more here. TELEPATHIC RECONSTITUTION OF ASTEROID BELT: This 216-unit cube, serves as a Holographic Cube container, where each cube unit corresponds to 1 year since the discovery of the Asteroid Belt, on September 11, 1801. This revelation is then announcing the completion of an important stage in the redemptive process of the telepathic reconstitution of reality. NOW that the Maldek~Asteroid Belt~9/11 timelines and their karmic memory debris can be “contained” inside the perfection of these holographic Cubes, we can appreciate a new light of hope reaching in. This light is NOW starting to penetrate all aspects of the hologram, shattering the remaining layers of the illusion that are still holding the artificial time matrix in place. TOWER OF BABEL DECONSTRUCTION: 16-YEAR CUBE OF THE LAW COMPLETED. 216-YEAR PERFECTION OF THE CUBE COMPLETED. 9-11 TIMELINE REDEEMED. MALDEK REDEEMED. NEW GROUND ZERO POINT IN TIME ACHIEVED. 33DAYS. 3X FLARES. 3 STORMS. The Popocatepetl volcano is a major protagonist within the prophetic narrative presented on this blog, and its significance has been highlighted in several opportunities in the past and analyzed in detail on the same report entitled “Earth Day, Prophecy and Planetary Resurrection” . Moons later, on August 16th, 2016, on 29th anniversary of the Harmonic Convergence the volcano exploded again. How are these 3 explosions connected by the fabric of Time-Space? Since the last Total Solar Eclipse we entered an intense window of initiation that can be defined as the 33-day period that started with the last Solar Eclipse of August 21, 2017and ends on the Equinox Portal of Sept 22, 2017 (NS1.30.3.3) !!! On KIN 106 2 Worldbridger the sun produced a powerful pair of unprecedented X-FLARES. The 9.3X Flare was the largest one in 11 years and has been already catalogued as one of the most powerful in history. One day later, on September 7, 2017 the sun ejected the 3rd X-Flare from the same region 2673. ★ KIN 106 is the 9th of 13 clear signs of prophecy inscribed on the sarcophagus lid of Pacal Votan. Days of nuclear storms by Goro A.
June 15th, 2017 (NS1.29.12.17 KIN 23 10Night) marks the 65th Anniversary of the discovery of the tomb of Maya sage and king Pacal Votan below the Temple of Inscriptions at the archeological site of Palenque, Mexico. Considered as one of the most (if not the most) important archeological discoveries of all time (only comparable with the discovery of the sarcophagus of Egyptian King Tutankhamun), the opening of this funerary chamber triggered around the world not only a renewed interest for the ancient Maya culture, but it also released a prophecy. This prophecy is known today as “The Telektonon Prophecy of Pacal Votan”. This prophecy was received, carried and enacted by two human beings: a man and a woman named Jose and Lloydine playing the archetypal roles of Pacal Votan and Bolon Ik… A couple who embarked on a journey full of trials, tests and tribulations to bring its message to the world. The prophecy commands the return to natural time through the 13-Moon, 28-Day calendar as the bridge that can bring us back into harmony with nature and with our planet, and reconnect us back with our Ancient Future. The script of the original prophecy has not changed nor “came to an end” in the year 2012, but it is a living transmission still unfolding in REAL Time. We are now the protagonists of our own individual and collective Hero’s Journey. We are enacting the male + female archetypal journey of redemption in time. We are the ones who, by following the steps and guidance of our ancestors, and of our Higher Self, can still enact our own liberation from a world that keeps us at large entrapped in the walls of materialism and the numbing effects of the artificial time matrix. As in any real-life adventure, we just need to have the right attitude, the right set of tools and the right focus to uncover more clues, messages and memory treasures encoded within the “Mother of ALL prophecies” in order to find our way out of the consciousness labyrinth we are living. WE ARE THE ONES WHO WE HAVE BEEN WAITING FOR. This report is an attempt to unveil some of those hidden layers of harmony behind the current state of chaos and polarized human dramas we are now witnessing. We will do our best to present below some of the most relevant findings and synchronic treasures. We hope these findings will contribute to elevate our perception of reality and examine it under a new higher perspective. “Among the contemporary Lacandon Maya, the person found in the tomb of Palenque recalled the mythic “halach uinich” or “true man” known as the Great Pacal, or Pacal Votan. Precisely 1000 years after the tomb-dedication, in the year 1692, two Jesuits priests living in Chiapas had a correspondence in which they referred to a now lost text entitled, “The Trials of Votan,” mythic accounts of a legendary king of the Maya known as Pacal Votan, whose life extended back to the time of Noah and the Tower of Babel, whose home was in the stars of Valum Chivim, whose adventures included four journeys to the “Rock of Heaven” via the ladder of 13 serpents, and whose incarnation near Nah Chan (Palenque) occurred at a mysterious site known as Valum Votan. Having built a Tower (of the Winds) at Palenque, he had constructed his fabulous tomb, and buried with himself all knowledge of that tomb, except for a few odd marks in the stone floor and a set of enigmatic glyphs in the temple atop the edifice that came to be known as the Pyramid of the Inscriptions. Had it not been for the tile speaking tube (Telektonon) protruding from the rubble beneath the stone with the odd markings, the archeologist would never have dug at all. The discovery of this tomb in Palenque has shifted the course of history in VERY dramatic ways. Ways that we are just starting to understand and make fully conscious… Since the moment of its finding, new archeological and numerological evidence has been uncovered to bring NOW more multi-dimensional and archetypal aspects of the Telektonon prophecy to the surface. 65 YEARS: Archeologist Alberto Ruz inside Pacal’s tomb, June 1952. (IMAGE: http://www.latinamericanstudies.org/alberto-ruz.htm). The eve of the 65th year anniversary of the archeological discovery that released the prophecy, corresponds to june 14th, 2017 KIN 22 9Wind, signature of Bolon Ik the Primordial Mother of Palenque, also known as Primordial Deity GI of the Palenque Triad. “One of the multiple inscriptions in Palenque enacted by Queen Tz’akbu Ajaw who was discovered in Temple XIII. In this tablet from Temple XIV, she represents the Myth of Creation, dressed with symbols of the main deity of Palenque’s Triad, GI, 9 Ik, White Solar Wind; whose glyph is depicted on her cape and also in the main date of the event (top left corner).” Source Galactic Feminine. 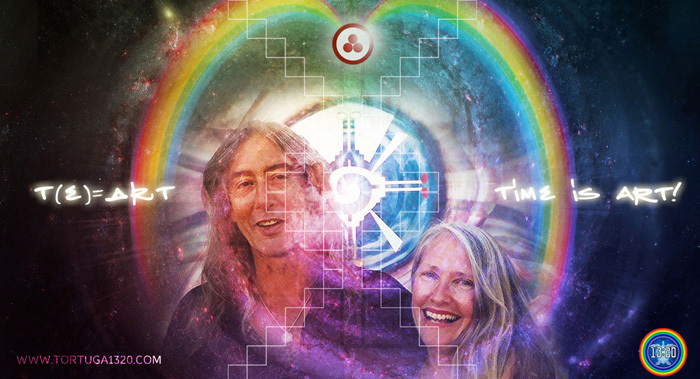 On this day, we are celebrating 104 Tzolkins since Lloydine Bolon Ik, White Solar Wind, Co-Founder of Planet Art Network and the World Thirteen Moon Calendar Peace Movement, Coauthor of Dreamspell: the Journey of Timeship Earth 2013 arrived to this world. 22 is the number of letters of the hebrew alphabet that we find in the Pentateuch. The chronology of the Patriarchs, from Adam to Jacob, includes 22 names. The 22 chapters of the Vendidad, book of the Avesta, written by Zarathustra. The 22 prayers (“Yeshts”) of the “Khorda-Avesta”. The Chronos god was surrounded by 22 main assistants and 22 secondary, according to the Phoenician Sanchoniaton. For the Muslives, the Koran is the recording of the oral revelation authorized by the grace of God to the Prophet of Islam during almost 22 years, in the beginning of the seventh century of the Christian era – from 610 to 632. The 22 cards of the Tarot – 22 major arcana. The initiation of Pythagoras with the Egyptian priests lasted 22 years. The twenty-two channels linking the ten “Sephiroth” between them in the “sephirotic Tree” of the Cabal. 22 divided by 7 gives the number “pi”, which represents the mysterious and approximate ratio of the perimeter of a circle to its diameter. July 22nd (22/7=pi): NOOSPHERE DAY. Mary Magdalene Feast Day. “The Dance of Venus” by John Martinaeu – (An accurate scientific drawing of Venus stunning pattern around the Earth. Our closest planetary neighbour draws a huge pentagram pattern around Earth every 8 years or 13 Venusian years. Four of the eight-year Venus cycles are shown, with the motion of Venus around Earth over 32 years), “A Little Book of Coincidence”, 2002. ★ There are 65 Venus+Earth Conjunctions in 104 Years. The final 2 conjunctions of the current 8-Year pentagrammic cycle that started with the Transit of 2012 will fall on KIN 1 (Oct 26, 2018) and KIN 66 (65+1) (June 3, 2020). ★ Since it takes Venus 13 orbits to complete 1 pentagram, therefore it takes 169 (13×13) orbits around the Sun for our closest and brightest planet in the night sky to be “crowned” as “Queen of Heaven”. ★ On June 6, 2016 KIN 169 Earth+Venus completed their 3rd Exterior Conjunction since 2012 marking the exact midpoint within the 8-year period, over which Venus, the Planet of Love, passes 5 Times in-between us and the Sun (Interior Conjunction), drawing the Perfect Pentagram/Rosebud in the sky. This exact midpoint can be perceived then as the EYE or VORTEX of the Pentagrammic Stargate Rose Pattern that both planets draw in the sky every 8 years. ★ 169 is the exhibit Number of Pacal Votan’s funerary dress at the Museum of Anthropology in Mexico city. 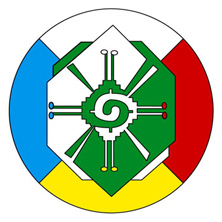 He appears wearing a green jade mask and holding the cube and the sphere on each hand. It takes 104 years for Venus and Earth to complete 13 Pentagrams/RoseBuds in the sky. June 5-6, 2017 (KIN 13-14) commemorated the 5th Anniversary of the 2nd rare Venus Transit of 2012 that took place on KIN 8-9 on the Galactic Maya count, completing in this way the double Transit cycle – Venus to Venus, conception to birth. ALPHA + OMEGA of the 5-Star Pentagram that Earth + Venus create every 8 years while they dance around the Sun. Kin 11 [ALPHA] + Kin 89 [OMEGA] = Kin 100 (Solar Sun). REVELATIONS 22:13–16 = The 5th anniversary of the Venus Transit of 2012 (OMEGA) on June 5th, 2017 corresponded to KIN 13 while the 13th anniversary of the Venus Transit of 2004 (ALPHA) on June 8, 2017 corresponded to KIN 16. Is the numerical occult significance of the Book of Revelations unveiling its mystery in due time? Only one week ago, on June 5-6, 2017 (KIN 13-14) we were commemorating the 5th Anniversary of the 2nd rare Venus Transit of 2012 that took place on KIN 8-9 on the Galactic Maya count, completing in this way the double Transit cycle – Venus to Venus, conception to birth. ALPHA + OMEGA of the 5-Star Pentagram that Earth + Venus create every 8 years while they dance around the Sun. ★ 5, 8 and 13 occupy positions No.5, No. 6 and No. 7 respectively on the Fibonacci spiral. ★ The 8th position is 21, date/KIN when this note is being written (June 13) and galactic signature of researcher + journalist + artist Rocio Jones (Itzadragon). ★ The 9th position is 34, ALPHA point of the Dreamspell/Wizard’s count (July 26, 1987 – NS1.0.1.1) Next KIN 34 we will celebrate the 42nd (41+1) Tzolkin cycle of this event. and galactic signature of Gar Magusa 19:19 + 33:33 matrix wizard. ★ The 10th position is 55. KIN 55 3Eagle ~ 8.16.1987 ~ End of Quetzalcoatl Prophecy 13 Heavens 9 Hells via the Harmonic Convergence of 1987- First synchronized meditation on Earth ~ Next KIN 55 we will celebrate the 42nd (41+1) Tzolkin cycle of this event. KIN 55 also signals the start of the 65-day blue galactic season of Vision. ★ The 11th position is 89: KIN 89 11Moon ~ 3.23.2011 ~ Ascension Portal of Jose Arguelles/Valum Votan, exactly 1408 years after the birth of Pacal Votan. ★ The 12th position is 144: KIN 144 1Seed ~ 7.26.1993 ~ 1st day/1st Year of Prophecy ~ 144 (12X12) is the basis of Baktun Count and the key number associated with the New Jerusalem in the Bible.★ 144 is the only number of the Fibonacci sequence that is a square and a circle (spiral) at the same time. ★144 degrees is the orbit interval in between Venus ~ Sun interior conjunctions in the sky almost every 584 days. The Fibonacci sequence present in all of Nature is also embedded into the Wavespell structure: Within the progression of first 13 Fibonacci numbers [0, 1, 1, 2, 3, 5, 8, 13, 21, 34, 55, 89, 144] we can notice that number 13 corresponds to the 7th position [counting zero as zero point origin]. This reaffirms the sacred geometrical relationship between the 7 and the 13 as the basic elegant mathematical principle behind the Cosmology of Time [4:7::7:13]. 65=13 x5, frequency of galactic spectrum, ¼ 260, fifth force moved by power of cosmic cycle. “The Maya were privy to a profound understanding of the cosmos just now being deciphered. 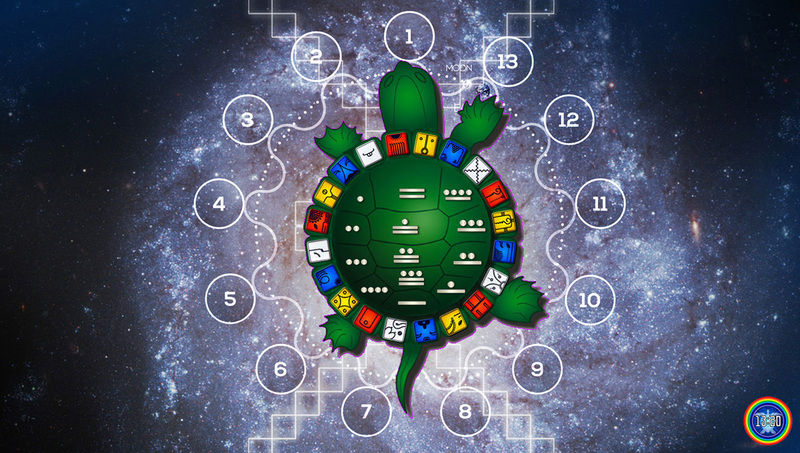 There are a couple of basic properties that really bring home the deeper meaning of the Mayan Calendar, the tzolkin . There are straightforward connections between the cycles of Venus, the moon and the tzolkin. For example, the 260-day cycle can be used to predict eclipses in the following way. Eclipses occur, on the average, every 173.33 days. This is known as the “eclipse half-year.” Three of these equal 520 days, and this is exactly two tzolkins. Thus, it was very easy for the ancient skywatchers to predict eclipses with the 260-day cycle. Furthermore, Venus is visible as morningstar for about 258 days. In general, the tzolkin is the key to a larger calendric system which can predict many astronomical cycles of the moon and planets. On the other hand, the 260-day cycle also relates to cycles that are closer to home, so to speak. Barbara Tedlock, in her book Time and the Highland Maya (1982), tells us that there is a 260-day period between the planting and harvesting of corn in the highlands of Guatemala. Most importantly, the period of human gestation is roughly 260 days. The modern Quiche daykeeper Andres Xiloj explicitly offers this as an explanation for the tzolkin’s meaning.So, the tzolkin relates as much to organic processes on the earth as to celestial cycles in the heavens. Here we have the core of the tzolkin’s incredible properties: it unites terrestrial and celestial processes under one principle. Said another way, the tzolkin contains a single principle which operates equally in both the sky and on earth. Of course, this is really the “as above, so below” principle of astrology, but Mayan cosmology developed this insight with great ingenuity and sophistication. It should also be said that the tzolkin is therefore less of a human invention, and more of a profound insight into the organizational tendencies within nature. As such, it is a kind of Mayan “Unified Theory,” based upon a clear insight into universal processes. This is the general framework I have developed in my work with the tzolkin. Venus has a profound relationship with the core principle of the tzolkin. In my books on the tzolkin I have put forward the notion that the principle at the core of the 260-day cycle is none other than the Golden Proportion. I argue this by looking at the mathematics and the philosophy of the Golden Proportion, and compare it to what we know, and the Maya themselves offer, about the tzolkin. The Golden Proportion is a unique principle in nature. It determines the spirals in pine-cones, seashells, the geometry of the human body and appears in many other organic processes. In the words of Jose Arguelles, it is the principle of “self-same similarity.” So, it’s not strictly about spirals. The Golden Proportion is best understood in terms of “repeating patterns at successive scales,” nestled chinese dolls, and musical harmonies. In human terms, reproduction itself is a process ruled by the Golden Proportion. Like the cumulative spirals on a sea shell, each successive human generation is based about what came before, yet is one step further on in the process. What I’m getting at here is simple: The Golden Proportion is a much under-rated principle in nature, and it is responsible for most of the tzolkin’s properties. I’d prefer not to get too involved in the mathematics of this in this brief article, but the relationship between the Golden Proportion and the tzolkin is actually quite simple. The Golden Proportion is usually approximated as 1.618, and is symbolized by the Greek letter PHI (rhymes with “why”). One of the qualities of this number which defines it as unique is the fact that 1.618 x 1.618 = 1.618 + 1. (In other words, PHI-squared = PHI + 1). The result is 2.618. Numerology comes into play here, because 2.618 x 100 = 261.8, which approximates the tzolkin cycle. Introductory page of “Tzolkin: Visionary Perspectives and Calendar Studies”, by John Major Jenkins, showing the Golden Proportion operating through the Tzolkin, represented as an additional central channel/void row traversing the core of the 13:20 Tzolkin Matrix, and creating a perfect Golden Mean Rectangle of 13×21. The formula is quite simple, and underlies the amazing relationships we’ve already discussed: 100 times PHI squared approximately equals 260. I’ve received some questions about the validity of this claim, mostly on the grounds that it is not precise. The discrepency is less than 1/2 percent, not bad for any model, and the notion is supported completely by the phenomenological similarity between the tzolkin and the Golden Proportion. For example, both determine cyclic processes on earth and in the sky. We’ve already discussed how the tzolkin does this, as well as the relationship of the Golden Proportion to organic processes in nature. The modern Maya have lost the ancient Venus calendar, and what I present is a reconstruction based upon the simplest criteria. Thirteen of the 8-year pentagram cycles equal the Venus Round of 104 years. This is an important “big” cycle, because it represents the synchronization of the tzolkin, solar year and Venus cycles. This 104-year cycle is the Venus Calendar followed by the ancient Maya at cities such as Palenque and Chichen Itza. It began when Venus rose as morningstar in the east on the Sacred Day of Venus, One Ahau [KIN 40 1Sun]. This occurs only once every 104 years. Because this gradually falls out of synchronization, problems arise. REMEMBER: The current 8-Year Venus + Earth synodic cycle will close in 2020 on KIN 66 (65+1) when both planets will meet and finish the 5-Star Pentagrammic mandala they started with the rare Venus Transit of 2012 and we just completed 5 years/65 moons of 28 days from this most important celestial event of the 21st century. This sacred proportion is also the coordinating factor within the Telektonon playing board. There are EXACTLY 40 days between the discovery of the tomb, (June 15) and Day Out of Time, and 41 days to Sirian New Year (July 26/1.1). ★ KIN 40 corresponds to 1 Sun ~ 1 Ahau the most Sacred Day of Venus for the Ancient Maya celebrated with the rising of Venus as Morning Star every 104 Years, to complete ONE Sacred Venus Round. In 104 years Venus completes 13 Pentagrams. These 13 Star Pentagrams correspond to 65 Synodic Cycles and 169 (13×13) orbits around the sun. Detail of the Venus Table recorded on the Dresden Codex. Notice the 1Ahau glyph repeated 4 times on the top right corner. 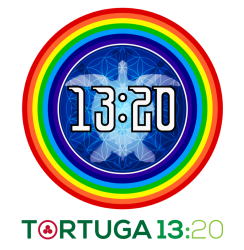 ★ 40 is the total number of petals on the pentagrammic 8-fold RoseBud mandala that Venus and Earth draw in heaven every 8 years. If we include the center of the bud we arrive to 41 sections. 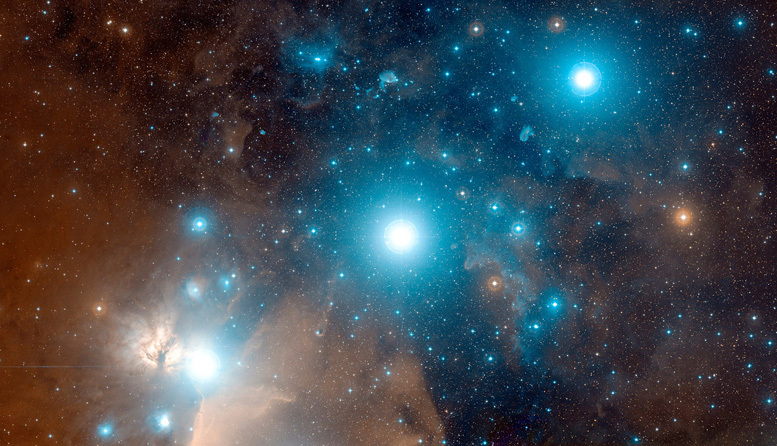 ★ This 40-day period in retrograde movement was also revered as sacred by many ancient cultures. In the New Testament it is recorded in the gospels as the time of the “Temptation of Christ”. Venus completed this 40-day retrograde journey on APRIL 15, 2017 (NS1.29.10.12 KIN 222) during the EVE of Easter/Resurrection Sunday. KIN 22 and KIN 222 are Perfect Symmetrical Mirrors on the Tzolkin Matrix and are the only 2 Wind (Seal 2) Galactic Activation Portals. ★ This ancient association of Lucifer with the Serpent who tempted the first Mother (Eve) and the primordial story of Creation has also deep multi-dimensional levels/layers of resonance across many ancient cultures and myths. ★ Venus Transits are events of VERY RARE occurrence and therefore VERY SPECIAL significance. The next transit will occur in 100 years on 2117-12-10 • KIN 41 (40+1) one day after KIN 40 1Ahau, during the 128th anniversary of the discovery of the Law of Time… Will humans still inhabit Earth by then? ★ Number 41 is known as the “Interval of God”: the difference between the Matrix of Totality (20×20=400) and the Matrix of Unified Totality (21×21=441). 441-400=41. See 441 dictionary of number . The 65th anniversary of the discovery will fall on the 113rd galactic return of the current head of the catholic church, the jesuit pope Jorge Bergoglio, KIN 23 10Night. The roman pontiff visited Palenque in january 2016 right during the prophecy wavespell. >>EXACTLY 3 Solar Rings after the lighting bolt that stroke St. Peter’s Basilica, following the announcement of his predecessor of stepping down from the throne. >>EXACTLY 40 Galactic Spins of 260 days or 10400 DAYS (+ 7 leap days) since its redemption via the Harmonic Convergence of 1987 (August 16, 1987). 40 Tzolkins = 10400 days = fractal of 104: Arcturus and of 104000: Pacal Votan’s Samadhi. ★ The visit of the 111th pope to Palenque occurred on February 15, 2016, KIN 58 6Mirror (disincarnation KIN of Pacal Votan) 3 days after his arrival to Mexico. ★ Francis was appointed as new “pontiff” of catholic church on 3.14.2013 (KIN 30 4Dog) after the unprecedented and unexpected announcement by Joseph Ratzinger (KIN 133 – 3Skywalker) of stepping down from the “throne” on February 12, 2013. (KIN259- 7Storm), followed by a lightning bolt striking the top of the Vatican’s St Peter’s Basilica, just hours after his surprise resignation. KIN 259 codes the entire current moon. The discovery of the brightest light ever recorded by the human eye, occurred on June 15, 2017 ~ KIN 73. Number 73 also intimately linked to time engineer Pacal Votan, whose time of power was during the 73rd 52-year cycle since the start of the Long Count. – About 200 times more powerful than a typical supernova. – More than twice as luminous as the previous record-holding supernova. – As bright as 570 billion of our suns. – Some 20 times as luminous as the entire output of the 100 billion stars of our Milky Way galaxy. On June 1st, 2017 (NS1.29.12.3 KIN 9 9Moon) EXACTLY 7 Tzolkins after the Venus Transit of 2012 (OMEGA Portal of the 8-year Transit Cycle of 2004-2012) we completed 23 years from the discovery of the tomb of the “Queen of Palenque, Lady Tz’akbu Ajaw inside Temple XIII at the archeological site of Palenque, Chiapas. ★ This is a good opportunity to remember that according to the INAH (Instituto Nacional de Antropologia e Historia) the skeleton found in 1994 on Temple XIII returned to Palenque on June 15, 2012 (KIN 18 5Mirror) after 18 years of archeological research and tests outside of Palenque. The return of the QUEEN to her “home” occurred, after being identified by experts as the wife and not the mother of the Great Pacal. EXACTLY on the 60th anniversary of the discovery of Pacal Votan’s tomb spent. NOTE: 40 days later was DAY OUT OF TIME 2012, KIN 58 6Mirror, disincarnation kin of Pacal Votan. ★ The 65th solar return will occur on KIN 23, and it was right on the 23rd anniversary of the second most important archeological discovery since the discovery of Pacal Votan’s tomb in 1952, that new compelling archeological evidence was brought to the surface, enabling us to approach the archetypal riddle of the Red and White Queens of Palenque with a renewed perspective and new multi-dimensional lens. What is the lesson here to learn? What surprise/new discovery will come up to the surface next Day Out Time, now 40 days apart? 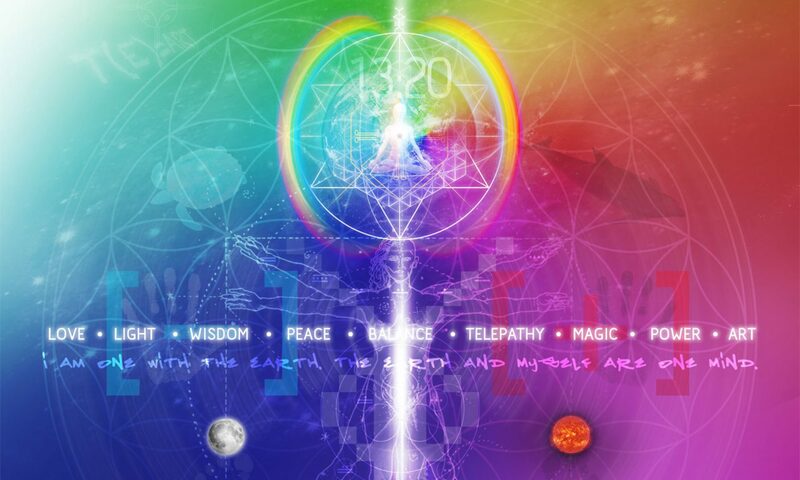 The 4th Dimensional Pulsar Wave of the current wavespell is comprised by KIN 14+18+22+26. 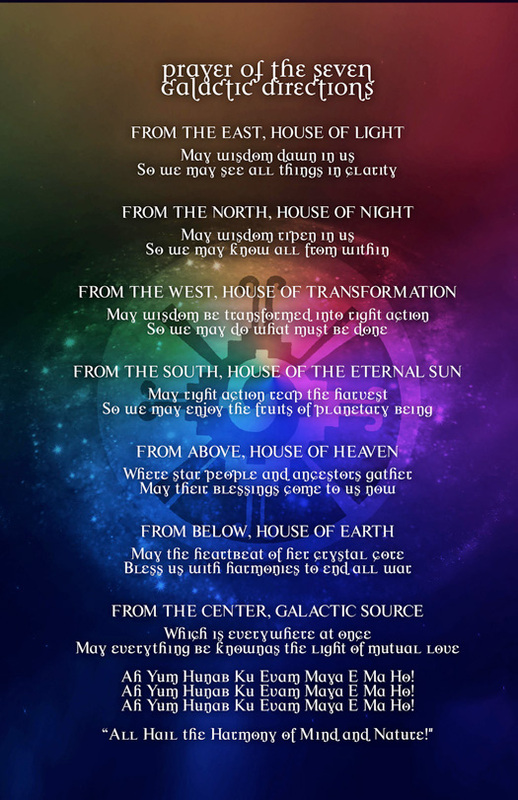 Each of these gateways hold the 5th Force oracle of Timelessness in place, and each of them also holds a KEY EVENT of enormous significance within the prophetic narrative presented so far. 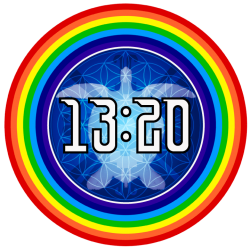 “The 13-Moon Calendar establishes a new harmonic standard for timekeeping that promotes greater access to our inherent creativity and capacity to live in right relationship with each other and the planet. The conditions for change are ripe, now more than ever. We do not have the luxury to ignore this clarion call. Our lives and the lives of generations yet to come depend upon our willingness to do what must be done. Harmony, balance, and synchronicity is what we have to gain. Adopting a new calendar means a new society and a new way of doing things. On this day, we also complete 3 Tzolkins from April 25th, 2015 (KIN22) when another recent archeological discovery of GREAT relevance was announced by the INAH, this time below the Quetzalcoatl Temple at Teotihuacan. The discovery made BIG headlines and kept the scientific community in wonder for a while. 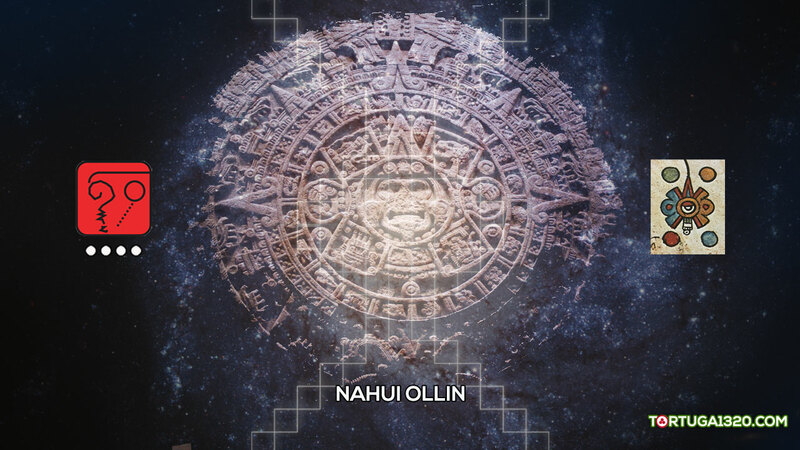 “It was exactly a year ago on the report series entitled QUETZALCOATL BITES HIS/HER TAIL: 9 SIGNS OF A LIVING PROPHECY, (published on KIN 53) when we presented a map of the different streams and stages of Mayan prophecy and its evolution into ONE UNIFIED Prophecy. Since then we have been tracking the most significant events related to this prophetic stream with the purpose of keeping alive a delicate memory thread that connects us with our Ancient Past and our “Ancient Future” within the Eternal present moment. “Local researcher Sergio Gomez announced the discovery on Friday of “large quantities” of the [mercury] element underneath the Pyramid of the Feathered Serpent – the third largest in the ancient ruined city of Teotihuacan, which is shrouded in mystery and was once one of the largest in the hemisphere. KIN 26 codes the 13th clear sign of prophecy on Pacal Votan’s lid. “When the tomb of Pacal Votan was opened on June 15, 1952, it revealed a large vaulted chamber beneath the pyramid of the inscriptions in Palenque, Chiapas, Mexico. Entering the tomb, in the center of which is the famous sarcophagus, one sees on the walls the beautifully sculpted figures of nine personages. Today these sculptures have almost completely worn away. But originally, these low-relief sculptures modeled out oflime- stone, depicted with great elegance, a series of figures commonly known as the Nine Lords of Night, or the Nine Lords of Time. Are the Nine Lords of Time, the Lords of Night who guard Pacal Votan in his tomb, the same as the nine nights of Odin/Votan? And who was Pacal Votan? With what mythic resonance are we dealing? A Mayan seer, a sage-king of the seventh century of the Christian era, had deliberately created a mysterious tomb for himself, only to have it hidden, buried beneath a pyramid temple, but a tomb intended to be opened more than twelve centuries later, in the seventh year of the time of the terror, the time of the technosphere. 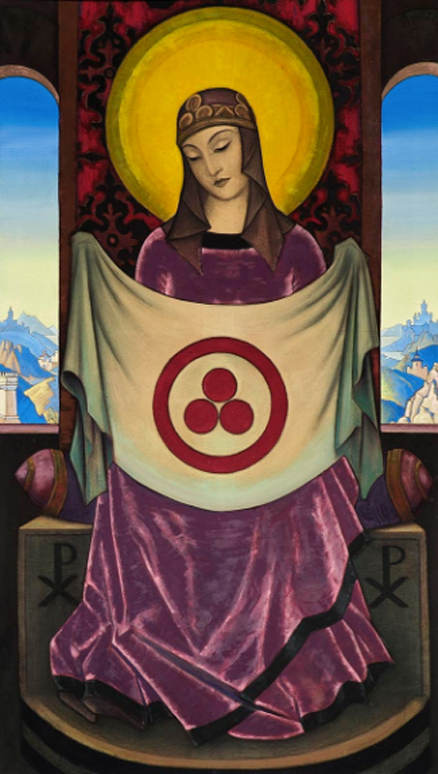 How ingenious, how uncanny, that it would have been unknown for 1,260 years-a number also known in the thirteenth chapter of the Book of Revelations as the number of days of exile of the woman clothed with the sun, her feet on the moon, and twelve stars around her head. What does this allegory mean? Is it not the same as the exile of the human soul in the deadening world of 12:60 materialism? Sixty years remained from the opening of that mysterious tomb to the closing of the cycle of history, the omega point of 2012. How could the timing of the opening of the tomb have occurred so precisely-1260 years from dedication to discovery, 1320 years from its dedication to the closing of the cycle? How could those years be such a perfect reflection of the artificial 12:60 and the natural 13:20 timing frequencies? How could a Mayan sage in Central America so long ago be able to see, it would seem, into our future? When we study the globe and consider things synchronically from the perspective of the noosphere, we find some interesting correspondences. Pacal Votan lived in the tenth baktun cycle, between the Christian years 603-683, on the opposite side of the world but at almost the same latitude as Mecca, and just after the time of Muhammad, 570-632. Today the religion that God commanded Muhammad to found, Islam, is at the center of the terrorist storm, while the prophecy of Pacal Votan and of the Mayan calendar in general has placed the end point of history at 2012, a mere eleven years after the Inevitable Event that placed Islam at dead center of the world mind. How could this be, the religion of the prophet Muhammad and the prophetic timing of the Maya so close at hand? Is this some revelation of the Nine Lords of Time, or of God speaking through them-and who are the Nine Lords of Time? Are they destined to return? Could it be that the Nine Lords of Time, like some higher dimensional Lords of the Ring, are a manifestation of time to be released, one by one, in an annual sequence during the last nine years of the Great Cycle, 2004-2013? These Nine Lords of Time are known in Mayan as the Bolontiku; their counter-parts are the Oxlahuntiku-the nine lords and the thirteen lords, respectively. The nine lords govern the underworld, the time of the third dimension, which is why they are depicted in descent to the sarcophagus of Pacal Votan, while the thirteen lords govern the heavenly realms. The nine govern the nine vigesimal orders of number, while the thirteen govern the form of time. The dedication of the tomb of Pacal Votan in A.D.692 corresponded to the Long Count baktun date of 9.13.0.0.0. The nine and the thirteen lords-Bolontiku and Oxlahuntiku-are present in the very numbers of the dedication date. And the nine and the thirteen also governed the prophecy of Quetzalcoatl, of Thirteen Heavens of decreasing choice and Nine Hells of increasing doom. This prophecy refers to the sequence of twenty-two 52- year cycles that began in A.D. 843 and ended in A.D. 1987. Six years later, in 1993, during the first year of the 260th and final katun cycle of history, I began to decode the prophecy of Pacal Votan, some forty-one years after the tomb had been opened. Telektonon, the Prophecy of Pacal Votan, was meant to be decoded precisely and only at the moment of its absolute usefulness, kin 144: Yellow Magnetic Seed, July 26, 1993. This moment defined the Seven Years of Prophecy, 1993-2000. It also established the validity of the Dreamspell or Wizard’s Count as the reformulated Year- Bearer Count of the Chilam Balam, the jaguar priests or night seers. That is, the Telektonon Prophecy could only have been triggered when kin 144 occurred as the Year Bearer, Yellow Magnetic Seed, kin 144, correlated to the Gregorian date of July 26, 1993. The precise revelation of this prophecy on kin 144, July 26, 1993, was dependent on and could only have occurred because a prophetic count, the WIzard’s Count, derived from the prophetic tradition of the Chilam Balam, had already been established. This “count” provided the basis of The Mayan Factor and was woven into the conclusion of the Prophecy of the Thirteen Heavens and Nine Hells, Harmonic Convergence, August 16-17, 1987. And the precise number of kin 144, the revelation date of the prophecy of Pacal Votan was meant to accord with the Book of Revelations number of the elect, 144,000 (Revelations 7:4). In fact, that very day I discovered that the number 144 transliterated from the vigesimal count into Arabic numbers is written 7.4, which is the same as the chapter and verse number where the 144,000 are first mentioned in the Book of Revelations (7 = 140, or 7 x 20, plus 4 units = 7.4). More uncanny stuff-but not so to the noosphere, the Earth’s mind of time. In the noosphere everything is woven of number, and number is intrinsically synchronizing, which is why numerology has held such a fascination for the human mind throughout history. When I first began to decode this “final prophecy of the Maya,” or Telektonon, a prophecy that commands the return to natural time through the 13-Moon, 28-Day calendar, I was stunned and not a little frightened. I had already taken many steps to remove myself from mainstream society and conventional life. But now I was dealing with a genuine prophecy, and I was to be its messenger. This was not my invention. The world is filled with enough madmen and lunatics spouting their particular visions. How could I ever make the world understand that this vision, this prophecy, was real, that it was the fulfillment of a Mayan who lived and died thirteen centuries ago, and that his tomb was the vehicle of this prophecy, a prophecy meant precisely for this moment in time-the biosphere-noosphere transition? I returned to the texts of the Chilam Balam, whose prophetic stream includes day prophecies, year prophecies, katun (twenty year), and ahau (260-year) cycle prophecies, prophecies of Quetzalcoatl, and finally the special prophecies of the mysterious Antonio Martinez and the coming religion of the Hunab Ku, “One Giver of Movement and Measure.” I realized that the meaning and fulfillment of this entire prophetic stream was crystallized in the Harmonic Convergence and its 26-year aftermath. Chilam Balam, the jaguar priests, are the wizards of time, inspired by the guidance of the Bolontiku, the Nine Lords of Time, the Lords of Number. By com- mand of the Supreme One (Hunab Ku), the wizards are directed to establish clear paths of rekindled knowledge. The ancient Maya prophesied their own destruction. Therefore, within the prophecies of the Chilam Balam they laid the seeds of their reconstruction-but not simply as Maya. The reconstruction had to be planetary, for their destruction in the sixteenth century was also an act of planetary conse- quence-the plunging of the entire world into the prison of artificial, mechanized time. The fulfillment of the prophecies along with the new dispensation of time had to occur before the end of the cycle, 2012. As elucidated above and presented in several prior reports, the sequence of world events keep demonstrating with increasing potency that Venus is an orchestrating force of paramount significance behind the prophetic narrative we are now witnessing. Venus Cycles were carefully tracked not only by the Maya but by many other ancient cultures since the beginning of time. Why? With no GPS or satellites at the time, it was necessary to track, determine and understand the larger patterns and cycles in Nature. Studying the movements of our brightest stars to use them as celestial markers in the sky, became a method of orientation to navigate the earth by land and sea during times of climate-change and migrations. Now we can track these movements to navigate the Ocean of Time. Make sure to use the right navigation compass to enter the next stages of this collective evolutionary journey on planet Earth with FULL Awareness! The discovery of these tombs is still shifting the course (curse?) of history in A VERY dramatic way. 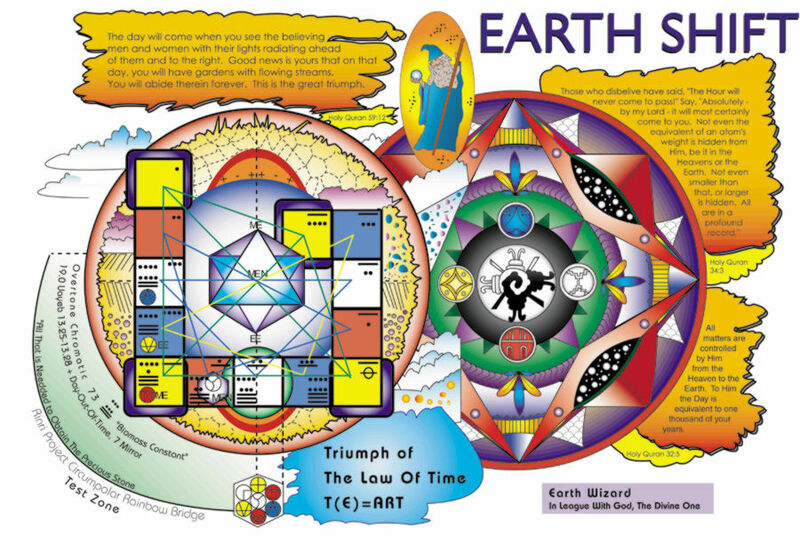 Since the moment of their discovery, new archeological and numerological evidence is being uncovered to bring NOW more multi-dimensional and archetypal aspects of the Telektonon prophecy to the surface. May WE ALL have the wisdom and clarity of mind and heart to discern what to accept as TRUTH/REAL. MAY PEACE, SYNCHRONICITY AND HARMONY PREVAIL ON EARTH.